Welcome to Lite-Topia, an enchanted land that sparkles with color and light. The Lite Wand creates magical color and light displays. Use it to share color and light with Lite Sprites and the interactive world of Lite-Topia. Capture color from your world and share it, or receive color from another Lite Wand. Play the built-in color games and send spells to Sprites and playsets. Lite Sprites use color and light to express their moods and feelings. Each Sprite has her own personality and domain in the natural world. The Sprite Sisterhood includes: Prisma, Astra, Meadow and Brooke. Bleak, the naughty Sprite, rejects color and uses her powers to eliminate or disrupt color in Lite-Topia. From a brand that always manages to wow both kid's and parent's alike with incredible concepts and innovative designs, WowWee has done it once again! The Lite Sprites collection is whimsical, magical, and oh' so incredibly FUN! 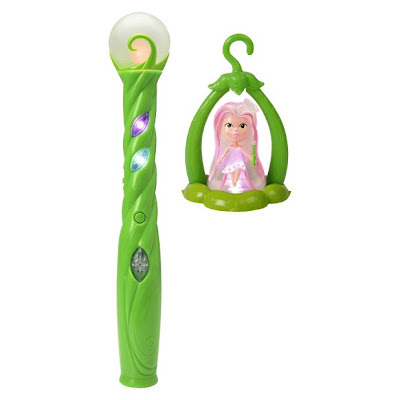 Over the past few day's the princess has been simply dazzled by the Lite Sprites Wand and Sprite (pictured above). By setting the wand on any color surface or the included color wheel, the color reader on the bottom will automatically register the color in the wand's "library of colors"! By holding the button on the wand (for 2 seconds) the color (as if by magic) is transferred to the Sprite. The princess sets her Sprite on her night stand each night now, turns the Sprite her favorite color (usually pink or purple), and drifts off to sleep with the soft glow from her new Lite Sprite friend (the Sprite will automatically shut itself off after a certain time period). As a mother, I love that she's learning while she's playing! As each color is collected (or being projected) the lights on the wand lite up to show you which colors mix to create each color choice. The enchanting Lite Sprites collection is available Nationwide at select retailer's, and online. Hurry! 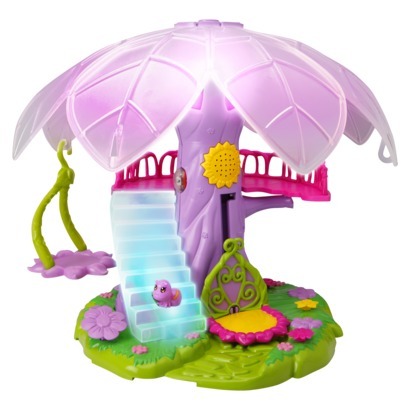 I am positive that Lite Sprites will be amongst the most requested popular toys this Holiday Season! You can find Lite Sprites online at http://www.litesprites.com/ . Lite Sprites are available online and at select retialer's nationwide. What a deLIGHTful and innovative toy. Not only is this adorable but educational as well as it teaches the colors that mix to form others. I like how it picks and registers colors from any surface. I know one little princess who would get hours upon hours of enjoyment from Lite Sprites! This is the first time I've heard of this toy but it does sound like a lot of fun for a little girl! interesting, first time I've heard of it. I could see how this could be the new toy to go crazy over this Christmas! This looks like a toy I would've loved as a child. I won this for my little girl and I know she's going to absolutely love it!! I seen the other sets at Walmart I would like to get. What an interesting idea for the coming holidays! Bright and magical, absolutely love it. I think any child would find this enchanting. I love your review! It's so positive and bright like Lite Sprites! Thank you Sarah! This is really cute and I am sure to make any little girl very happy. this is so precious!!!! any little girl would fall in love with this!!!! its so cute and the colors are great!! !